Many people assume that Medicare will fully cover their medical expenses once they turn 65. In reality, Medicare Part A and Part B do NOT provide coverage for everything and tends to only cover 80% of recipients’ medical expenses. Medicare Supplement Insurance (also called Medigap) plans are designed to cover certain health care expenses that original Medicare refuses to pay entirely or only pays for partially. *Their present health care and any health care they might possibly need (services and supplies) in the future. *The percentage of health care their Original Medicare covers. *The frequency of traveling done outside of the United States. In some cases, Medicare patients may already have enough sufficient coverage that does not require that they also pay for a supplemental policy. For example, relatively healthy Medicare patients who have very low medical bills or visit their doctor only for routine check-ups on a yearly basis will likely not need to purchase a Medigap plan. You also may not need Medigap if a majority of your medical bills are for services and supplies that are not covered by a Medigap plan; Medigap is usually not a recommended option when someone qualifies for Medicaid, when they have group health insurance via spouse or through an employer or union, or when they have a Medicare Advantage plan (Medicare Part C). 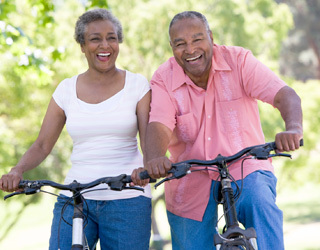 On the other hand, Medicare patients who may require extensive medical services and supplies, who have declining health, who engage in high risk activities that could result in complications from an injury, who travel outside of the States often, or who have a condition that may require ongoing treatment, are all potential candidates that could benefit from Medigap. For instance, eyeglasses, hearing aids and routine dental care and vision care are all out-of-pocket costs. In general, Medigap policies will not cover long-term care or private-duty nursing. Original Medicare typically won’t cover healthcare costs outside the United States. Therefore, some people purchase Medigap to cover unexpected medical emergencies while they are in a foreign country or in one of the United States’ territories. Actually, foreign travel emergencies are covered by six Medigap plans: C, D, F, G, M and N.
How Much Will a Medigap Policy Cost? One of the main factors for a Medicare patient selecting a Medigap policy is finding a monthly premium payment that fits within their budget. The monthly premium will depend on the type of Medigap plan they choose. There are presently 10 standardized Medigap plans (A, B, C, D, F, G, K, L, M,) and a high-deductible version of Plan F available in most states. Plans E, H, I, and J were previously available but were discontinued. However, those who already have a Medigap Plan E, H, I, or J are able to keep these coverages and the company they buy it from. All insurance companies that sell Medigap policies must offer Plan A and will set their own monthly premiums, so costs vary from company to company. No-age rated premiums – charge the same monthly premium to every policy holder under the plan regardless of their ages. In addition, a community-rated plan will not increase due to age but may rise due to inflation or other factors. Issue-age rated (Entry-age rated) – This Medigap premium is based upon the policyholder’s age when they first purchased their coverage (time plan was issued). As a result, persons who purchase Medigap plans at a younger age will have a lower premium. However, the premium may become higher due to inflation or other similar factors. Attained-age rated – Medigap insurers’ premiums are charged based on your current age. This means that a Medigap premium will start lower for younger policy holders and then rise as these individuals gets older. The total monthly premium is also affected by marital status, living conditions, geographical location, and possible discounts due to medical underwriting status and deductibles. Medigap recipients may also be eligible for various premium discounts. There are certain things that an insurance can and cannot do when providing a Medigap plan. First, an insurance company can’t charge more for someone with preexisting conditions since there is no health exam required to receive Medigap coverage. Second, an insurance company can’t refuse to sell or cancel any Medigap policy it offers as long as the policyholder pays their premiums. Third, an insurance company typically does not make Medigap applicants wait to start their Medigap coverage as long as its done within the guaranteed issue or open enrollment period; this period starts on the first day of the month in which someone turns age 65 and is also enrolled in Medicare Part B, and lasts for the proceeding 6 months. Fourth, it is illegal for an insurance company to sell a Medigap policy that significantly duplicates any existing coverage someone already has. If a Medigap applicant is approved for coverage, the carrier is obligated to automatically renew the plan as long as they keep making premium payments. In addition, there are annual Open Enrollment periods where a person can buy a new Medigap policy or change their existing one, with the same benefits as mentioned earlier. * Plans A through N offer different levels of coverage. * A Medigap policy only covers one person. Spouses will have to buy a separate policy. * It’s illegal for anyone to sell a Medigap policy to someone with a Medicare Medical Savings Account (MSA) Plan. * A Medigap applicant needs to make sure that they can leave their Medicare Advantage Plan before their Medigap policy begins.